Queen Máxima of the Netherlands advocates for financial inclusivity as a vital tool for global economic development, powerfully positioning the WBAF Annual Congress 2018 as a catalyst for meaningful developmental advancement. For all the challenges facing today’s world, there has never been a time with as many opportunities for innovative development. The world may be plagued with inequality, threatened by looming environmental disaster, and left vulnerable by diminishing natural resources; but it is also a time where more people are better educated than ever before, and creative new technologies and financial mechanisms are being developed to solve the problems we face. Around the world, public figures regularly commit themselves to the acceleration of economic development in their respective regions. After all, economic development is not a phenomenon that simply transpires; it is a product of small, significant steps forward in equality, job creation, access to finance, and entrepreneurial support, which all aggregate to help nations flourish. Her Majesty Queen Máxima of the Netherlands stands out as a public figure who is at the forefront of improving the economic prospects of many. In Her Majesty’s role as the UN Secretary General’s Special Advocate for Inclusive Finance for Development (UNSGSA), she has travelled the globe promoting innovation and infrastructure development for greater financial inclusion. For Angel Investors this is welcome news; HM Queen Máxima’s work is building a more robust financial ecosystem, unlocking entrepreneurial talent and creating opportunities for Angel Investing to grow in developing markets. Homegrown solutions for localised issues often achieve greater success – and more homegrown solutions are possible as local Angel Investment ecosystems mature. The symbiotic relationship between developing financial inclusion and growing Angel Investing is valuable for all economies. With a background in investment banking, Her Majesty’s profound interest in development is evidenced in the myriad of roles she has embraced over the years. 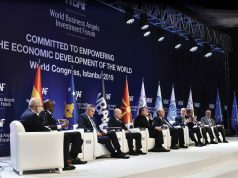 Among them, serving as an honorary patron of the G20’s Global Partnership for Financial Inclusion; a member of the Netherlands Committee for Entrepreneurship and Finance; and serving as a Global Agenda Trustee for the World Economic Forum’s Global Challenge Initiative on the Future of the Global Financial System. In alignment with the WBAF global agenda, Queen Máxima emphasises the importance of global partners working together to raise awareness, forge collaborations, break down barriers, and build agendas to achieve meaningful global economic development. She advocates on the global stage that inclusive and accessible finance transforms lives – a reality that has been observed in a great number of instances across the globe. Perhaps the most impressive example is that of Kenya, where access to mobile money has lifted 2% of Kenyan households out of poverty since 2008; and has empowered over 185,000 women to leave subsistence farming to start their own businesses. 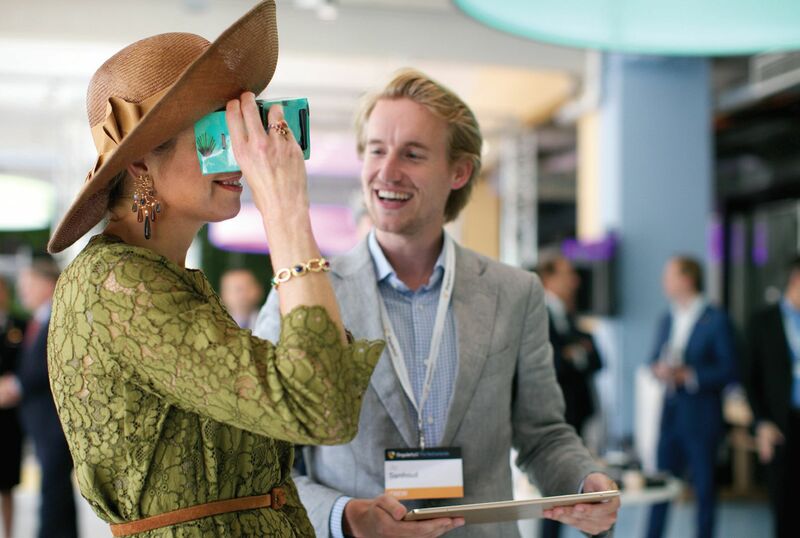 In particular, Queen Máxima recognises the value of noninstitutional sources of funding, and of investors that can provide non-financial support in the form of mentoring and networks access – both fundamental pillars of the Angel Investor role. Queen Máxima’s entrepreneurial advocacy also often wears a second hat, taking on the challenge of social and gender-based justice. To this end, she regularly takes to the global stage; including her involvement at the G20 Women20 Summit in 2017, where she contributed to a panel discussion on scaling up women’s entrepreneurship. Here she shared the stage with German Chancellor Angela Merkel, IMF Managing Director Christine Lagarde, and Businesswoman Ivanka Trump, among others. 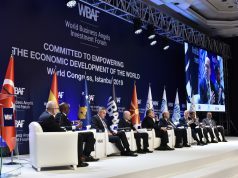 The WBAF Annual Congress 2018 brings together a variety of stakeholder groups to collaborate, network, and shape the global early-stage investment agenda. To that end, WBAF is hosting a summit that speaks directly to another of Queen Maxima’s areas of interest and focus; the WBAF FinTech Summit 2018. As quick as she is to motivate for FinTech development, Queen Máxima is careful to point out caveats around the need for responsible and secure development of these technologies; illustrating the potential for reckless FinTech innovation to have unintended negative effects. “We should also recognise the danger of leaving people behind. If the technology gap widens between the rich and the poor, men and women, the urban and the rural – so too does the gap in opportunity and equality.” Her Majesty actively seeks to create opportunities for collaboration between governments and the private sector. In so doing, she seeks to facilitate the creation of regulatory approaches that support innovation. Queen Máxima is also an advocate for ensuring the right infrastructure is in place for FinTech to promote financial inclusion. To this end, she has worked with key stakeholders to identify nine infrastructural prerequisites needed to ensure that FinTech thrives in a truly inclusive manner: data privacy, cyber security, digital literacy, financial literacy, digital IDs, connectivity, interoperability, fair competition, and physical infrastructure. At the WBAF FinTech Summit 2018 we look forward to addressing these issues and creating new frontiers for a bright FinTech future. 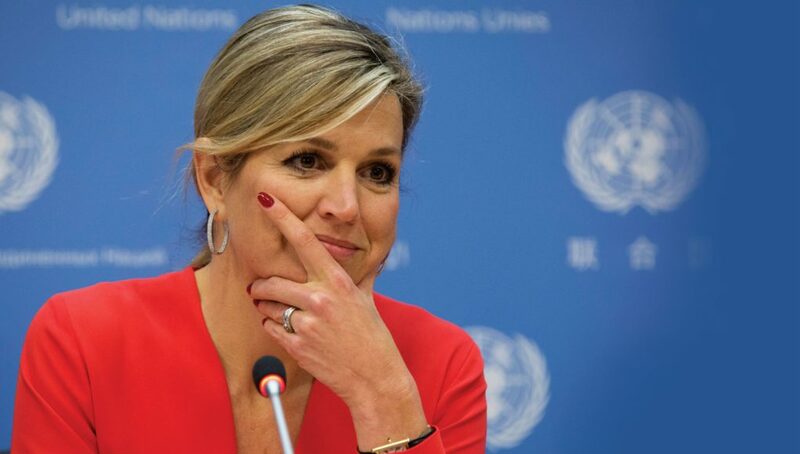 WBAF salutes Queen Máxima, the UN Secretary General’s Special Advocate for Inclusive Finance for Development, for her considerable contribution to the economic development of the world. Entrepreneurs, SMEs, and Early Stage Investors all around the world are better off for the work she is championing.